Last year Halloween arrived too soon and I wasn’t prepared for it. It has only been this year that I realized how hot Halloween can be in this part of the world. We went with the kids for the trick-or-treat walk and it was 30°C!!! People here celebrate as in any other part of the world, they dress up in scary ways and carve some pumpkins. They pretend it’s autumn and it’s dark. 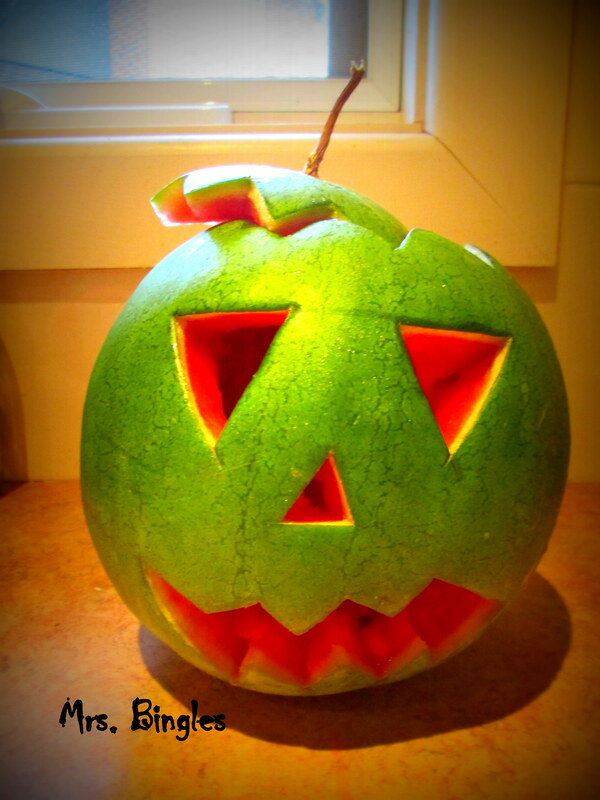 Then I had an idea…why not using a watermelon instead of a pumpkin? Watermelon is now a seasonal fruit in Australia and it has the right shape and texture. So I gave it a try, I was very exciting about my idea, my kids were even more excited and…we were very happy with the result . As I said, this is not what Australians do, but I couldn’t stop myself from trying it out (I don’t know in which part of the world I’ll be living next Halloween!). Your Jack-o’lantern made of a watermelon, looks excellent! That’s creative thinking. Thanks Yvonne! I’ve never celebrated Halloween as a kid but it’s so much fun with my kids now and I’m trying to make the most out of any celebration. Great idea, and yes watermelon will do it for us, boeta just had some after lunch, he loves it also.